Born in Brooklyn, she raised a Jewish family in Lynchburg, Va., before retiring to South Florida. 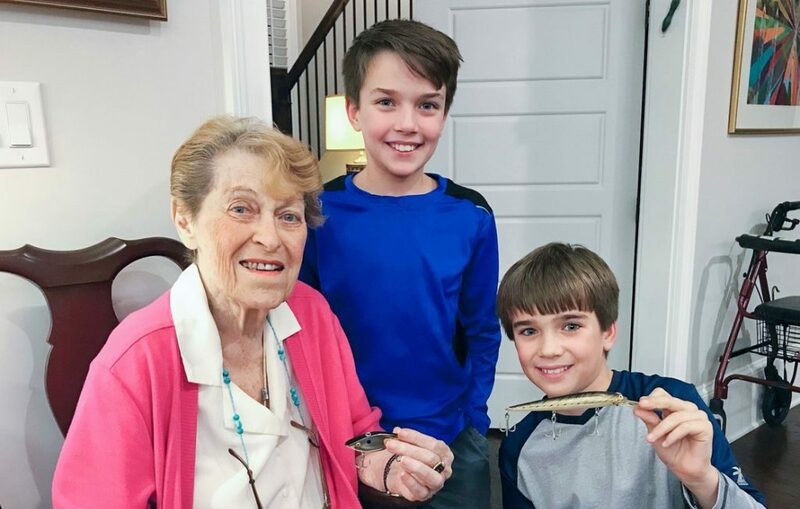 Alice King of Atlanta passed away peacefully Sunday, March 25, 2018, after a long illness. Alice was born Sept. 8, 1924, in Brooklyn, N.Y., to Bernard and Dorothy Cohn. She had one sister, Shirley Cohn. Alice married Eugene King in 1946; they soon thereafter moved to Virginia, where Eugene practiced veterinary medicine. They had two children, Kevin and Gerry, whom they raised in Lynchburg, Va. Alice was a stay-at-home mom until her sons went to college, when she began working as an office manager in a glass company. While in Lynchburg, she and her husband enjoyed a vibrant Jewish social life as members of Agudath Sholom Congregation. She served as the president of her Hadassah chapter and held various positions in her synagogue. She was committed to a Jewish life for her family. In 1985, her sons grown and working, she and Eugene fulfilled a lifelong dream and retired to South Florida, where they enjoyed many friends and lots of golf. They lived there until 2010 when Eugene died. They had been married 64 years. Alice continued to live in South Florida until she moved to Atlanta in 2015 to live near her son Kevin, daughter-in-law Claire and granddaughter Lauren. She is survived by her sons, Kevin (Claire) and Gerry (Mimi); grandchildren Brian (Sarah) King and Lauren (Bryan) Gershkowitz; and great-grandchildren Ethan Jonah King and Noah Simon King. Memorial donations may be made to Congregation Beth Tefillah. Arrangements by Dressler’s Jewish Funeral Care, 770-451-4999.